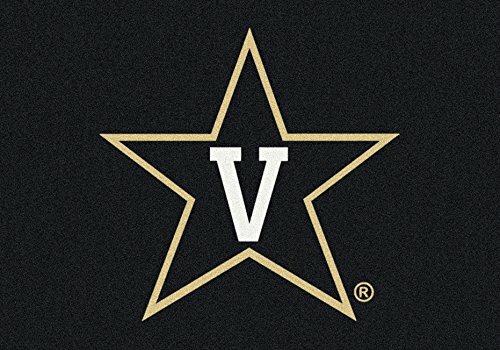 NCAA Team Spirit Rug - Vanderbilt Commodores, 7'8" x 10'9"
NCAA Team Spirit Rug - Vanderbilt Commodores, 7'8'' x 10'9'' by Millilken at J State Tigers. Hurry! Limited time offer. Offer valid only while supplies last. View More In Entry Mats. If you have any questions about this product by Millilken, contact us by completing and submitting the form below. If you are looking for a specif part number, please include it with your message. NCAA Team Repeat Rug - Iowa State Cyclones, 7'8" x 10'9"
NCAA Team Spirit Door Mat - Montana Grizzlies, 56" x 94"
NCAA Team Spirit Door Mat - New Hampshire Wildcats, 56" x 94"
NCAA Team Spirit Door Mat - Utah State Aggies, 56" x 94"
NCAA Team Spirit Door Mat - Wyoming Cowboys, 56" x 94"
NCAA Team Spirit Door Mat - San Diego State Aztecs, 56" x 94"
NCAA Team Spirit Rug - Houston Cougars, 3'10" x 5'4"
NCAA Team Spirit Door Mat - Brigham Young (BYU) Cougars, 56" x 94"